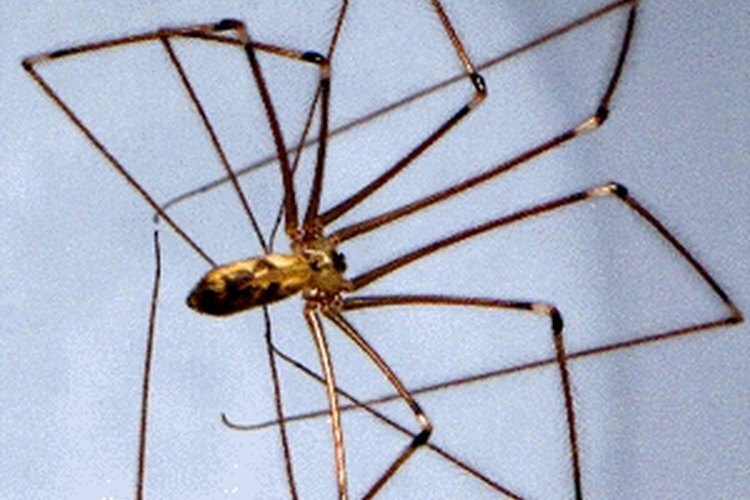 Spiders top the list of the most disliked creepy crawlers that people come in contact with during outdoor adventures. With over 3,000 different types of known spider species, many of them are enjoying the outdoors right alongside us! If you are looking for a way to repel spiders but would like to use a more natural approach, you may be surprised to know that salt is an arachnaphobic's best friend. Find a quart-sized spray bottle that will be used for the sole purpose of holding your spider repellent, and label it. Purchase regular table salt from your local grocery store. There is no need to purchase a special kind of salt. Pour about a quarter-cup of salt into your spray bottle. Use a funnel to help guide the salt into the bottle and avoid a mess. Fill the spray bottle with water. Stop about an inch from the top for proper mixing. Shake well! Be sure to completely dissolve the salt in the water. If the salt is not completely dissolved, it can clog your spray bottle's nozzle. Spray the outside of your home, bushes and foliage with the salt solution. The spray can be used anywhere that there is a spider problem, including indoors. Repeat the process weekly to prevent spiders from returning. Remember that spiders do serve a purpose. Eating other insects is a spider's job, which can be helpful in combating other insect problems. So, you must decide exactly how much spider repelling you want to do.